Hello, I am the Digital Scholarship Librarian and French Subject Librarian. My office is located in the Digital Scholarship Commons, a space in the library designed to give the community hands-on experience working with digital tools and techniques for research. For example, We are available to give workshops on scholarly workflows using Zotero, editing Wikipedia, or exhibition software like OmekaS (among a host of other tools). Students & faculty are welcome to email me at any time to ask questions about digital scholarship. I also work with faculty to design courses around using digital resources for learning and research. For example, Dr. Catherine Caws recently held a Wikipedia-edit-a-thon in her French course that gave students real-world experience sharing the work they've accomplished at UVic. Dr. Alex Sinner is using our Virtual Reality equipment for his Greek & Roman Studies research and teaching. My research tends to focus on libraries, book history, modernism, and computing in the humanities. My current project is focused on the Lending Library in France. Salutations, je suis la bibliothécaire des études numérique et aussi le bibliothécaire pour le départment du Français. J'ai obtenu mon doctorat en littérature anglaise en 2009 et un MLIS en 2016. Mon bureau est situé dans le Digital Scholarship Commons, qui est un nouvel espace dans la bibliothèque conçu pour vous donner une expérience pratique en travaillant avec des outils numériques et des techniques de recherche. Par exemple, je suis disponible pour donner des ateliers sur Zotero, l'éditer Wikipedia, ou un outil d'exposition comme Omeka. Les étudiants sont invités à m'envoyer un email à tout moment pour poser des questions sur les études numériques. Je travaille également avec des professeurs pour concevoir des cours sur l'utilisation des ressources numériques pour l'apprentissage et la recherche. Par exemple, Dr. Catherine Caws a récemment tenu un Wikipedia-edit-a-thon dans son cours de français qui a donné aux étudiants une expérience concrète en partageant le travail qu'ils ont accompli à l'UVic. Ma recherche tend à se concentrer sur l'histoire du livre, les sciences humaines numériques, l'informatique dans les sciences humaines et la littérature. Mon travail courant est sur la bibliothèque de prêt en France. Assists faculty and students to use content management systems and digital exhibition platform for teaching, learning, research, and publication; develops programs and services to help students improve technology skills in the Digital Scholarship Commons through the use of software and hardware; helps to set development priorities for the Libraries' digital research environments; works closely with the digital scholarship developer to align the Libraries' digital asset management systems with the University's scholarly and research objectives and preservation requirements; works closely with staff in the Libraries' DS Commons and Learning and Research unit to develop programs and facilities supporting digital information fluency; manages projects relating to the development of digital collections and exhibits; develops the French language collection at the University of Victoria Libraries. Worked with researchers and development team to implement a Drupal-based online publication platform for multimedia articles. Oversaw Information Architecture (IA) and design. Managed all publications at modernismmodernity.org. Acted as faculty liaison between faculty and Digital Scholarship and taught in the Department of English. Provided support for the Digital Scholarship Commons and worked with developers to research Digital Asset Management Systems (DAMS) for library use; worked with Special Collections & Archives to undertake background research for enhanced print materials cataloguing; identified materials free of copyright restrictions for digitization; undertook outreach activities to promote the Libraries' rare and unique holdings (activities included instruction, lectures, and reading room exhibits); undertook outreach activities to promote the Libraries' digital; identified opportunities to integrate UVic digital collections and metadata into scholarly projects, online research environments, indexes, and aggregate sites; Developed and taught undergraduate digital humanities courses at UVic in order to train students in digital information fluency. Identified catalogued modernist materials (published and archival) in Special Collections; used accessions records to identify uncatalogued modernist materials; undertook outreach activities to promote the modernist collection, including instruction, lectures, and reading room exhibits as well as by providing support to graduate students and other post-doctoral fellows; oversaw contributed to production of a full digital edition of the 1922 Ulysses; facilitated development of a Digital Humanities Centre at UVic. Directed the development of grant-funded Open Modernisms while teaching Digital Humanities, Literature, and Book History and maintaining a research profile. Collaborated with faculty to write Fronts of Modernity: The 20th-Century Collections at the University of Victoria Libraries. 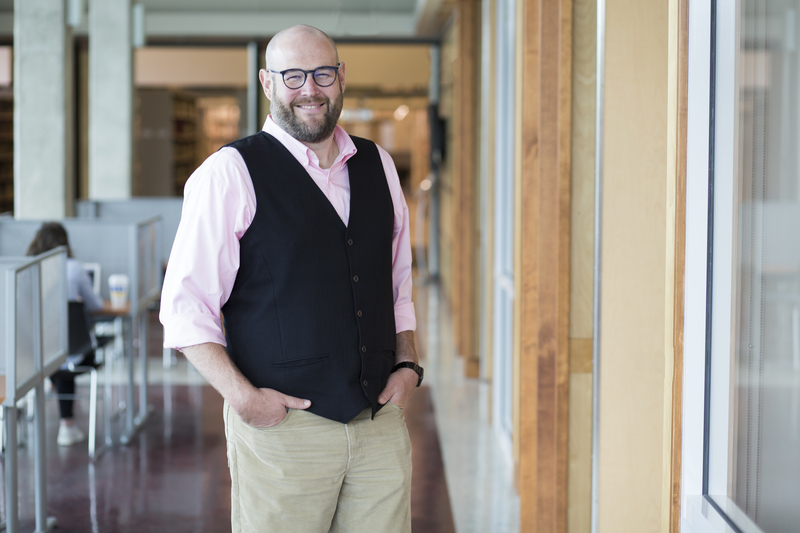 Won Social Sciences and Humanities Research Council Grant with Stephen Ross and founded the Modernist Versions Project, a Partnership Development Grant to create an open-source, open access publication platform for research and teaching. Worked with developer to build Islandora-based DAMS to manage user permissions and content. Worked with librarians and archivists to digitize James Joyce Ulysses material and to write Scope and Content descriptions. Worked with Digital Asset Management team at Islandora in Prince Edward Island/Halifax to design—including content models—an open publication platform for Editing Modernism in Canada. Oversaw digitization of rare Canadian magazines; supervised graduate students and instructed numerous courses. Taught DHSI course on online publication platforms using Islandora. Taught literature courses in the Department of English using Special Collections material in the University of Tulsa's McFarlin Library Special Collections. Oversaw team for National Endowment for the Humanities (NEH) grant to digitize rare modernist magazines. Oversaw graduate and undergraduate students to develop rich online research environment. Used Zeutschel to digitize thousands of pages of magazines; Developed workflows for digitization, OCR, markup, and long-term preservation. Used standards such as TEI, MODS, METS. Trained users in Photoshop, Acrobat, and Oxygen XML editor. Successfully completed scope of grant. Developed subscription software for JJQ. Edited manuscripts for publication. 2019 "Introduction: The Methodologies of Open Social Scholarship." KULA: Knowledge Creation, Dissemination, and Preservation Studies. 2017 "Ford Madox Ford as Editor." The Research Companion to Ford Madox Ford. Routledge, 2018. 2016 Huculak et al. Fronts of Modernity: The 20th-Century Literature Collections at the University of Victoria Libraries, edited by J. Matthew Huculak, University of Victoria, 2016. 2016 Huculak and Lisa Goddard. "Is Promotion and Tenure Inhibiting DH/Library Collaboration? A Case for Care and Repair." DH+Lib, 29 July 2016, http://acrl.ala.org/dh/2016/07/29/a-case-for-care-and-repair/. 2016 Huculak & Héléne Cazes. "The Pre-Digital Book" in Doing Digital Humanities: Practice, Training, Research. Routledge, 2016. 2016 "Reading Forensically: Modernist Paper, Newfoundland, and Transatlantic Materiality." The Journal of Modern Periodical Studies 6.2 (2016): 161–190. 2009 "The London Mercury and Other Moderns." The Oxford Critical and Cultural History of Modernist Magazines, Volume 1: Britain and Ireland 1880-1945. Eds. Peter Brooker and Andrew Thacker. Oxford: Oxford University Press, 2009. 240-259. 2009 "Meddling Middlebrows: Virginia Woolf and the London Mercury." Virginia Woolf Miscellany, 76.1 (2009): 16-18. 2006 "Song from San Francisco: Space, Time and Character in Eudora Welty's 'Music from Spain.'" Mississippi Quarterly 59.2 (2006): 313-328. 2015 "Bloomsday," "Barney Simon," "Charles Bruce," "Carl Zuckmayer," "Impressionism," "Little Magazines," "W. B. Yeats." in Routledge Encyclopedia of Modernism (REM), Ed. Stephen Ross. London: Routledge, 2015. 2014 "Gisèle Freund." Wikipedia, the free encyclopedia 16 June. 2014. Wikipedia. 2010 "Richard Harding Davis." The Modernist Journals Project. N.p., 2010. 2017 "Americanizing Britain: The Rise of Modernism in the Age of the Entertainment Empire." Joseph Conrad Today. 42.2 (2017): 18-19. 2015 "The Boundaries of the Literary Archive: Reclamation and Representation." Clio: A Journal of Literature, History, and the Philosophy of History. 44.3 (2015): 417-422. 2011 "Ford Madox Ford, Modernist Magazines and Editing." Media History. 17.3 (2011): 326-328. 2009 "Austin Harrison and the English Review." Modernism/modernity. 16.4 (2009): 821-823. 2016 Huculak and Braydon Justice. "Report for the University of Victoria Libraries on Fedora Commons-Based DAMS: Building Collaborative Scholarship Environments, A Test Case." 2015. dspace.library.uvic.ca. With Braydon Justice. 2012 Huculak and Ashlin Richardson. "A Survey of Current Collation Tools for The Modernist Versions Project." Victoria, BC: The University of Victoria, 2012. Managing Editor and Project Manager. Collaborated with Johns Hopkins University Press, Journals Division (JHUP) and editors of Modernism/modernity to design and implement an open, peer-reviewed, online journal to accompany print version. Designer and team member working with Special Collections and Archives to create public-facing exhibit surfacing rare material held at UVic. Used Fedora-Commons-based Project Spotlight. Collaborated with archivists to design, create, and describe the Freund fonds at the University of Victoria. Built exhibit in both Spotlight and Omeka. Awarded grant by BCcampus Open Textbook Project to direct and develop online anthology builder for out-of-copyright texts for classroom use. Platform allows users to upload, build, and download bespoke anthologies at no cost. CC-BY-NC license. Founder & Co-Director. Developed online research environment for the production of critical digital editions of modernist texts existing in multiple witnesses. Personally digitized and collated James Joyce's Ulysses. Partnered with NINES, EMiC, Islandora, and ETCL for $2 million dollars in support. Grant funded by SSHRC. An Omeka exhibition featuring illustrations and text from The New Age: A Weekly Review of Politics Literature and Art that explores the debates surrounding "modernism" and "new" art around 1910. The digital project was developed for the T. E. Hulme symposium at Wolfson College, Oxford University, 2013. Helped design a Drupal-based, integrated online digital tool to ingest, edit, and display critical editions for scholarly publication. Worked with programmers, developers, and private business to create platform. Worked as project manager in the digitization of over ten modernist little magazines. This process included: scanning and photography, image manipulation, text-encoding (TEI & MODS), and PDF creation. 2015 Co-Curator, W. B. Yeats @ 150. The University of Victoria Libraries, British Columbia. 2014 Curator, "From Paris to Victoria: The James Joyce Photographs of Giséle Freund." The University of Victoria Libraries, British Columbia. 2006 Curator, "Mind the Gap: Modern vs. Contemporary Art in The New Age, 1910-1914." De Montfort University, The University of Tulsa, Grinnell College, Brown University, Oxford University. 2018 "Stories that Last: Long-Term Preservation and Public Exhibits Using OmekaS." Visual Storytelling Colloquium and Workshop at Ravensbrück Memorial, Germany. 2018 "Building Library Infrastructure and Social Relations for Capturing Born Digital Scholarly Communication at the University of Victoria." After the Digital Revolution (British Academy Workshop), London, UK. 2017 "Hybrid Publishing Models for the Humanities: The Public Intellectual and the Scholarly Communications Cycle." Johns Hopkins University Press Annual Publishers Meeting, Baltimore, Maryland. 2014 "Reading Forensically: Modernist Paper, Media, and Trans-Atlantic Materiality." Modernism and/as Media Workshop. University of Alberta, Edmonton. 2014 "Building a Digital Edition in the Classroom Using Wordpress." Simon Fraser University, British Columbia. 2014 "Digital Humanities in the English Department." Wilkes University, Pennsylvania. 2013 "Archiving Failure in the University Library: Digital Scholarship and the Preservation of Speculative Projects." NYU, New York. 2003 "Publisher's Guide to Search Engine Optimization & Marketing: Using Your Existing Web Site to Promote Books." 5th Annual Tri-Province Publishing Forum. Winnipeg, Manitoba. 2017 "Making it Special: Collections, Collaborations & Community Outreach with UVic Libraries' Imprint." Society for the History of Authorship, Reading and Publishing (SHARP), Victoria, British Columbia (June). 2016 "Righting Copy Wrongs: The Book in the Era of Perpetual Copyright." University of Victoria, Ideafest, British Columbia. 2015 "Modernist Digital Pedagogy in the Classroom." Modernist Studies Association, Boston, Massachusetts. 2015 "Anarchist Book Builder as a Model for Open Textbooks." Building Partnerships to Transform Scholarly Publishing, an Implementing New Knowledge Environments (INKE) Conference, Whistler, British Columbia. 2014 "Reading Forensically: Modernist Paper, Media, and the London Mercury." Modernist Studies Association, Pittsburgh, Pennsylvania. 2014 "Modernism in the Archive." The University of Victoria, British Columbia. 2013 "Bloom's Movements: The Serial Ulysses." Modernist Studies Association, Brighton, UK. 2013 "Pirates and Para.txts: Samuel Roth and the Versioned Ulysses." North American James Joyce Conference, Charleston, South Carolina. 2012 "Making Spectacles of Ourselves: Modernism and Social Media." The Modernist Studies Association, Las Vegas, Nevada. 2012 Seminar Leader, "Using Digital Humanities Tools/Visualizing Modernism." Modernist Studies Association, Las Vegas, Nevada. 2012 "Textual Performance in Ulysses: Versioning Print Processes." Electronic Textual Cultures' Lab Brown Bag Lecture Series. Victoria, British Columbia. 2011 "The Problem of Data in 'Comprehensive' Repositories: The Modernist Periodicals Database." Modernist Studies Association, Thirteenth Annual Conference, Buffalo, New York. 2011 "Stab Him Dead! : The Middlebrow Virginia Woolf and J. C. Squire in The London Mercury." The Space Between Conference, Montréal, Québec. 2011 "The Metropole in Montréal: Le Nigog and Avant-garde Periodical Production in Québec." The Association of Canadian and Québec Literatures Annual Conference. Fredericton, New Brunswick. 2010 "Modernist Digital Networks: An Infrastructure for Digitizing Modernist Print Culture." Modernist Studies Association Twelfth Annual Conference. Victoria, British Columbia. 2010 "Technologies and Collaboration II." Conference on Editorial Problems. Toronto, Ontario. 2017 "Exhibit Building and Digital Asset Management Systems: New Collaborations with Faculty and Students." Vancouver Island Library Staff Conference 2017. Victoria, British Columbia. 2016 "Online Publishing Using the Modernism/modernity Print Plus platform." Modernist Studies Association 18th Annual conference. Pasadena, California. 2018 Archives Unleashed Vancouver Datathon. Experimented with the Archives Unleashed Toolkit in order to analyze WARC files and develop research topics. Vancouver, BC. 2018 ACRL-Choice webinar, "Indigenous Literatures, Social Justice, and the Decolonial Library." 2017 Code4Lib BC Two-Day Unconference, Nanaimo, BC. 2019 "UVic Ideafest: Modern libraries bridge history." Times Colonist 8 March 2019. 2016 "UVic's Library a Treasure Trove of Modern Work." Times Colonist 2 October 2016. 2016 "Cultivating open pedagogy through book builders." BCcampus. 22 March 2016. 2015 Amos, Robert. "Celebrating 150 Years of Yeats." Times Colonist 18 Oct. 2015. 2013 Smart, Amy. "University of Victoria's Rare Find Celebrates James Joyce." Times Colonist 16 June 2013. Web. 28 Oct. 2015. 2015 Digital Humanities Summer Institute (DHSI): "GIS." 2014 Digital Humanities Summer Institute (DHSI): "RDF and Linked Open Data." 2013 Digital Humanities Summer Institute (DHSI): "Introduction to XSLT." 2012 Digital Humanities Summer Institute (DHSI): "Large Project Management: Planning, Funding, Tools." 1998 Diplôme, l'Université de Droit, d'Economie et des Sciences d'Aix-Marseille. 1998. French language and culture diploma in Aix-en-Provence, France.